Jay Sanders has long been a staple in the Asheville music scene. One of the “go to” bass players in the area, Jay has toured extensively with Acoustic Syndicate, Donna The Buffalo, Snake Oil Medicine Show, and countless others. Throughout the spring of 2010, Sanders lead the Mindtonic Music Series on Tuesday evenings at the Rocket Club in West Asheville. He brought together a dynamic edge of collaborative players, each performance resulting in a completely different sound than the week before. Groups were assembled to bridge various music scenes and to showcase the co-creations that form when unlikely musical companions of contrasting styles are set free in an open environment. On Wednesday, November 3rd, the Best of the Mindtonic Music Series will be making a special appearance at The Grey Eagle in Asheville. The new combination of Jay Sanders, Bill Cardine and Andy Pond will be joined by special guest percussionist, River Guerguerian. The improvisational spirit of The E.Normus Trio opens the show. The show starts at 9pm. $8 Advance, $10 Door. 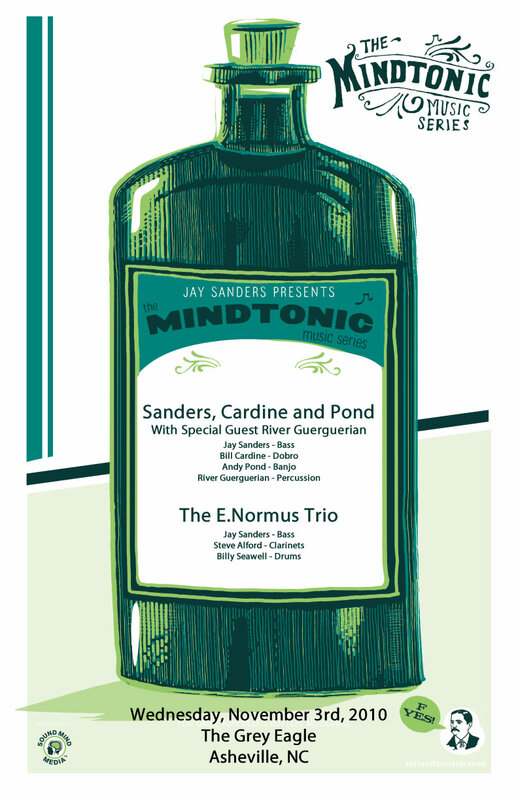 Collectively, Sanders, Cardine and Pond are three of the most celebrated talents in Western North Carolina. Dobro master Bill Cardine has long been a signature sound of the Biscuit Burners and was recently featured on Jerry Douglas’ tribute to Tut Taylor. Andy Pond is one of the banjo world’s best kept secret, making his sound known through the Snake Oil Medicine Show. The Porous Borders of Music was an experience that brought together the musical talents of Andy Pond and Bill Cardine and could easily describe their continued odyssey as they expand upon infinite creative horizons. 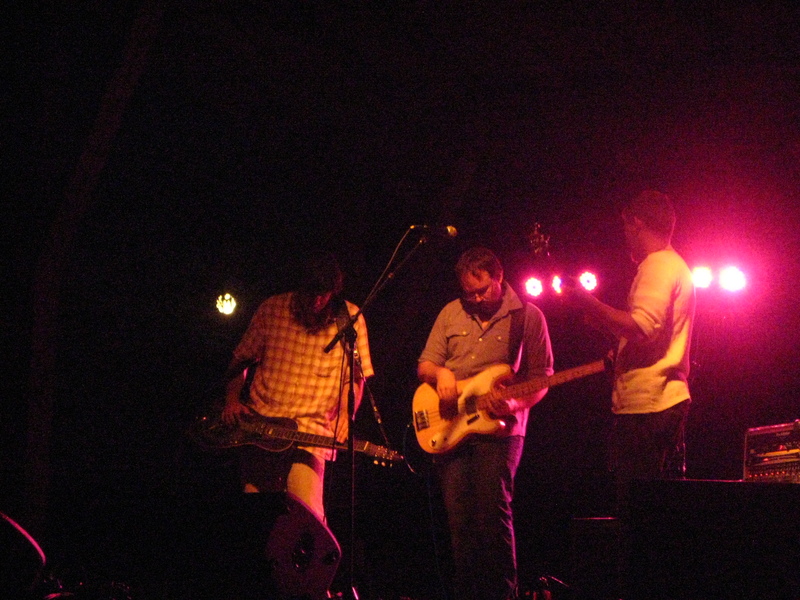 For a sneak peak at what they have to offer, check out these videos from their first show at Pisgah Brewing with Jeff Sipe sitting in: http://wp.me/pxjHY-HR. Some of their music is also available to download at http://mindtonic.net/media/SCPS. Just right click on the link from the index page and you can save it to i-tunes. Formed in 2007, The E.Normus Trio is an adventurous Jazz spirit comprised of Steve Alford on alto & bass clarinet, Billy Seawell on drums, and Jay Sanders on bass. Steve Alford is the director of the jazz program at Mars Hill College and a frequent participant in the Asheville Jazz Orchestra. 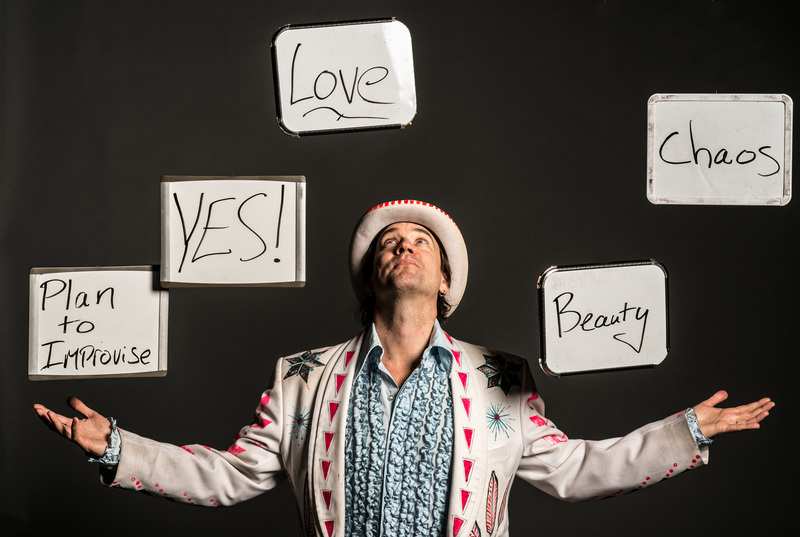 One of the most expressive drummers you will ever see, Billy Seawell is best known for his work with the Snake Oil Medicine Show. The essence of creativity is emphasized in collective improvisations that traverse a wide musical spectrum. The E.Normus Trio has held residencies at the Jolie Rouge and The Rocket Club, making weekly performances the stuff of legendary exploration.